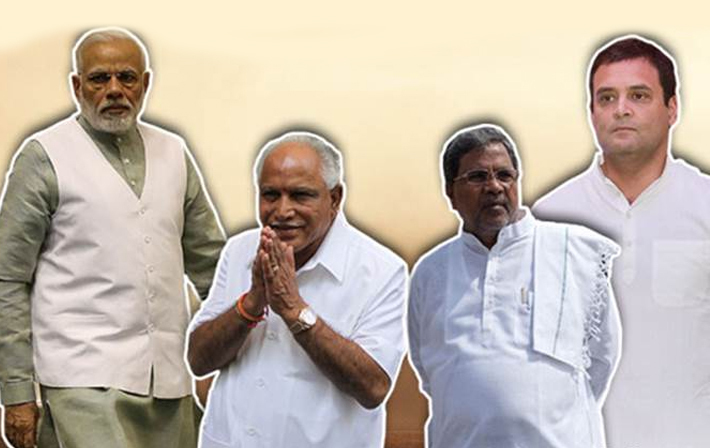 The Karnataka election results are out and there is a saffron surge across most constituencies. This has transformed the sentiment on D-Street from sluggish to super bullish. Investors lifted the Sensex by 400 points crossing 35,923, which was a level last achieved in January. While the counting was on, there were leads that showed BJP inching closer to a majority. Market watchers estimated that the outlook for domestic shares will be highly positive with the final outcome. This could be due to the strong record held by BJP in its first term. The global investors are looking at the election outcome as a guide to Modi government’s performance with regard to his popularity. There will be a fresh bout of buying in the short term in the stock market. Most key exit polls had predicted BJP to gain 100 of 222 seats in a congress dominated state. But the party actually gained power without the support of the JD(S) and it gained 104 seats out of 222. The results have lifted the sentiments of the investor and have boosted the party’s prospects for 2019 general elections. The market is rejoicing which is considered a good sign for domestic and international investors. The index was barely 2 percent away from breaching the previous high of 36,443.98 it hit on 29th January 2018. BJP did not have a strong hold in South India and this victory has raised the prospects in the election next year. The market has reflected more than 80 percent surge with this government. This win has chances to take the benchmark indices to a new high. BJP will now be ruling 22 out of 29 states. It is expected that the market will move towards 14,400 on Nifty50. The outcome has boosted the confidence of BJP and has retained its mandate in the country.